DeyJay Fashions is now scouting for male and female models of any ethnicity to be the new faces of the company’s leading brand. DeyJay Fashions is a national award-winning fashion merchandising and multimedia company that showcases plus-size men and women. They also launched an online empowerment platform with their aim to promote and bolster self-esteem and confidence of those whose sizes are above the average. Currently, they are seeking for a curvy, realistic, and voluptuous female from 18–45 years old who ever dreamt to be model. 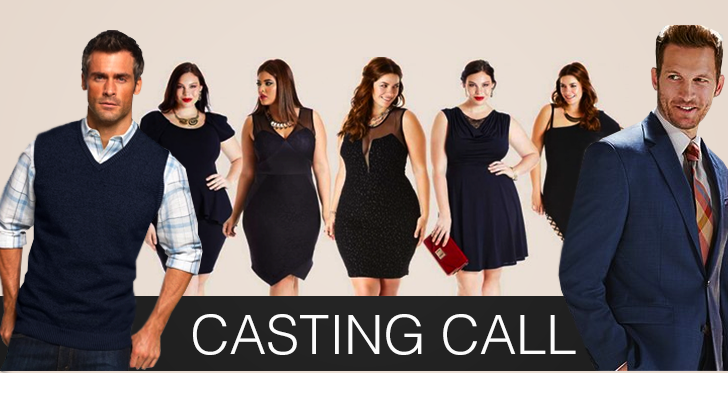 If you have a full-figured, large, or medium body (preferably those who are size 14), then you qualify for the job. Meanwhile, they are also searching for big and tall male models from the ages of 18 to 50 years, who have an athletic, muscular, or extra-large build. Five slots are open for the job, and you must tower at the height of 5′ 7”–7′ 2”. In addition to the $1,975 modeling fee, you will be representing the brand through print modeling, event promotions, and major fashion retailers. You will also be featured in their television network, DeyJay Fashions TV, for their educational seminars, which are intended to uplift women and girls who possess rather large body. Should you be chosen for final auditions, the company will shoulder all the traveling expenses to and fro Austin, Texas. If you are interested and if you think that you got what it takes to be the new face of DeyJay Fashions, then submit your applications now by clicking the ‘Apply for This Job’ button below. Submission deadline is on July 6, 2015. Will market DeyJay Fashions and DeyJay Fashion TV, its pruodcts, services, and platforms through various media and multimedia. Will market DeyJay Fashions and DeyJay Fashion TV, its prodcts, services, and platforms through various media and multimedia.